There are not enough words to praise the virtues of cabbage. Paleolithic humans were cultivating it at the end of the Stone Age, making cabbage the oldest-known cultivated vegetable. Today it is a common crop everywhere in the world, and a wild variety can still be found in the lands around the Mediterranean. 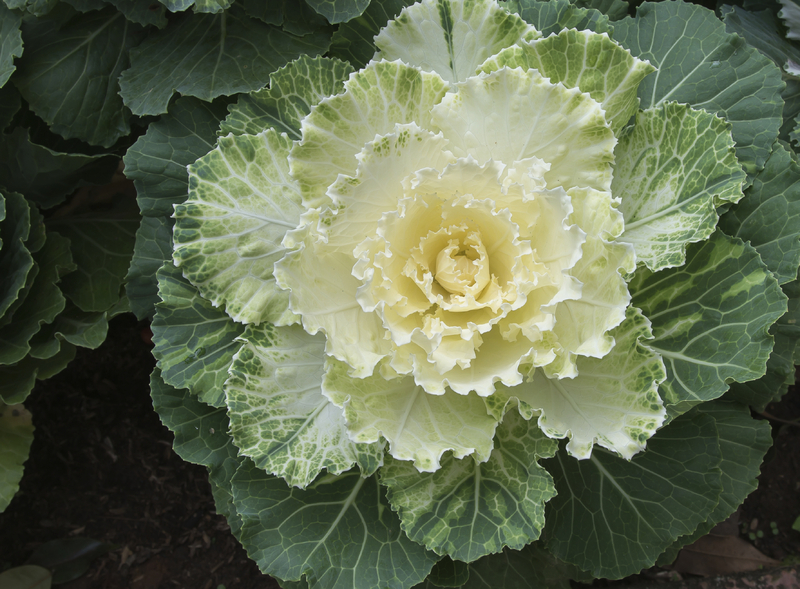 The health benefits of cabbage were especially appreciated by ancient Greek, Roman, and Chinese peoples. The ancients considered cabbage a panacea and used it both internally to treat various ailments and externally to treat wounds and prevent infections. During wars, Roman soldiers would carry cabbage with them for wound care. Greek physicians Hippocrates and Galen, Roman naturalist Pliny the Elder, and Roman historian and politician Cato the Elder, who had extensive knowledge of plants, recorded its therapeutic qualities. Cato the Elder, for example, said cabbage can be used to treat many conditions, including the plague. Dr. Jean Valnet, an early pioneer of natural medicine, also noted that cabbage helps heal many conditions, including infected wounds, open sores, rheumatism, pain, varicose veins, and anthrax (a disease caused by bacterial infection), just to mention a few. Why is cabbage such a powerful remedy? Valnet noted that the plant hormones (phytohormones), enzymes, minerals, and other compounds found in cabbage, give it a unique ability to eliminate toxins from the human body. Cabbage has a particular affinity for extracting toxic fluids from human tissue and helping the body eliminate poisonous elements that cause and maintain illness. 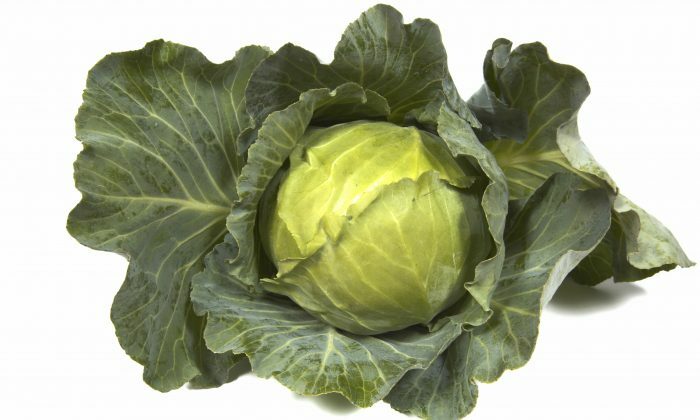 Afterward, cabbage ensures a fast and thorough tissue healing, thus preventing the return of illness. Used in recipes such as coleslaw, fresh juice, or soups, cabbage has a number of benefits, including cleansing toxins and excess urates (salts formed from uric acid). It also helps the body regulate estrogen levels and efficiently shed extra pounds. 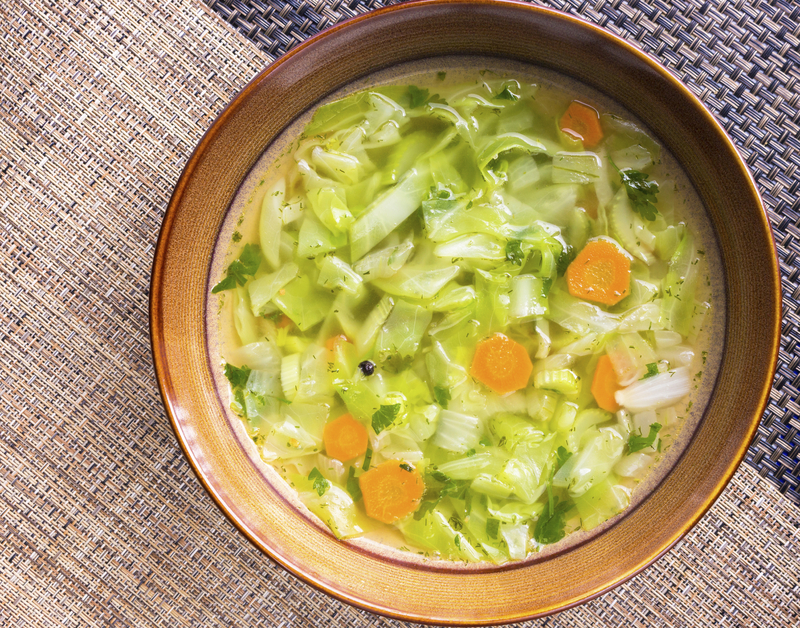 To this end, here is an easy, tasty, healthy cabbage soup to help you eliminate the weight that showed up over the holidays. This is one of my favorite recipes, but you can vary the types and amount of vegetables to suit your taste, and you may discard the chicken and use vegetable broth for a vegetarian version. Discard the green parts of the leeks, cut the remainder lengthwise, and then wash thoroughly and mince. Heat olive oil in a soup pot, add grated carrot, minced leeks, and cubed chicken breast. Cover and simmer on low for 10 minutes, stirring regularly. Add chicken broth, potato, salt, and all herbs and simmer on medium-low heat for 45 minutes. Add cabbage and simmer three to four minutes. Add tomatoes or lemon juice and a pinch of black pepper. Mihaela Enache, Ph.D., is a scientist who grew up in a century-old forest. Awed by nature’s beauty and power for the human body and soul, and with a keen interest in exploring its boundless resources for health, she pursued studies in geological and biological sciences. Exercise as hard and fast as you can for 30 seconds. Take a small shot glass of the tonic before a high caloric meal. What’s Sleep Got to Do With Weight Loss? Let's look at two specific ways that sleep affects our weight. Eggs are delicious almost every way you make them.